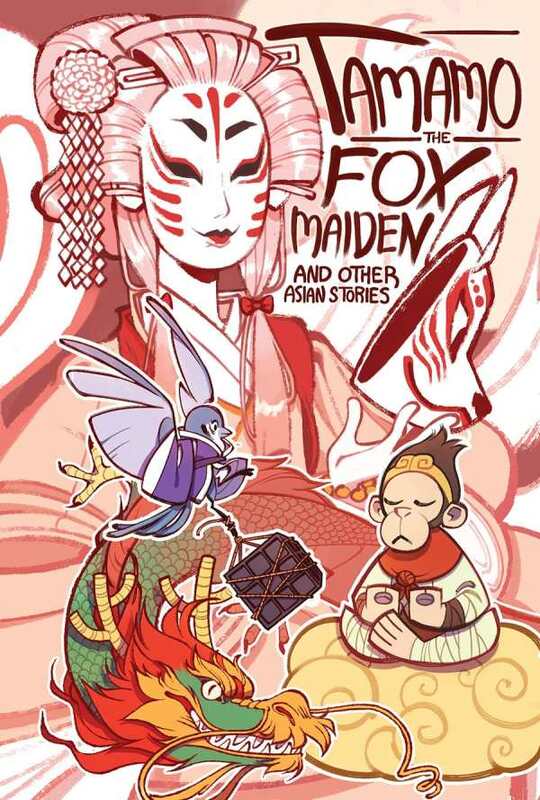 Adapting Asian folktales and fables to comics form, Tamamo the Fox Maiden delivers twenty-one tales from across the continent. Aside from the Japanese title story and “The Ballad of Mulan,” familiar to many because of the Disney film, this book mostly gathers lesser known tales from areas traditionally underrepresented in such collections, including Laos, Georgia, Myanmar, Turkey, and Tibet, in addition to several each from China, India, and Japan. It’s another entry in Iron Circus’s series of “Cautionary Fables and Fairy Tales,” and the one thing that all of its stories have in common is a pointed warning or piece of advice. These include: beware of pride; beware of strangers, beautiful, handsome, or seemingly helpful; don’t peek when you’re told not to; and don’t trust tigers—in cages or in marriage. Despite the general focus on danger and other negatives, many of these stories are told with a humorous, tongue-in-cheek attitude that lightens their mood and keeps the book entertaining rather than didactic. Created by a large cast of writers and artists, Tamamo the Fox Maiden demonstrates different styles of storytelling; some are more effective than others, but all show a high level of care and enthusiasm. The black and white art ranges from cartoony to stunningly detailed and realistic. In nearly every case, it fits the story’s tone perfectly. Tamamo the Fox Maiden makes for an enjoyable, pictorial excursion into ancient Asian culture.